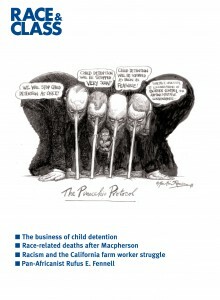 The latest issue of Race & Class examines the consequences of the co-option of charities and voluntary organisations within the immigration detention market. In 2010 the British government announced that the outrage of child detention for immigration purposes was to end. Simultaneously, however, it commissioned the opening of a new family detention centre, CEDARS, which was to be run under novel governance arrangements by the Home Office, private security company G4S and the children’s charity Barnardo’s. 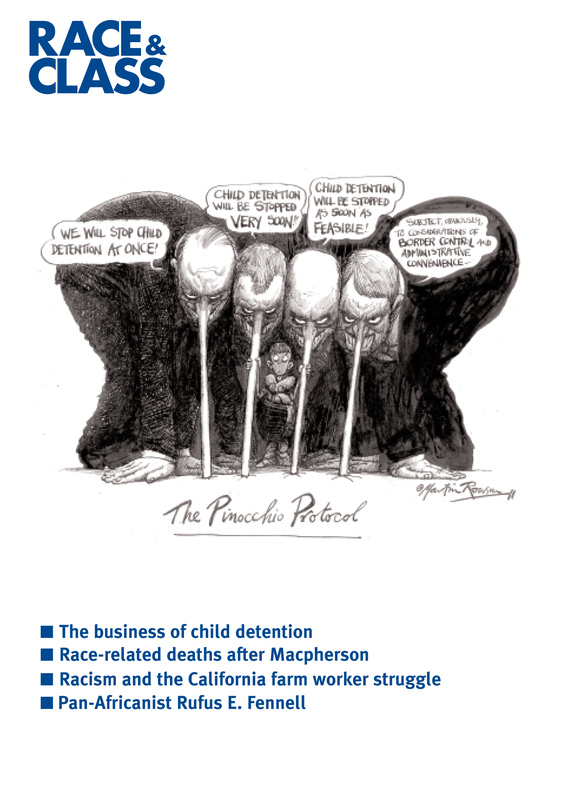 ‘The business of child detention: charitable co-option, migrant advocacy and activist outrage’, by Imogen Tyler, Nick Gill, Deirdre Conlon and Ceri Oeppen, draws on focus group research, to investigate the response of migrant advocacy groups to Barnardo’s role. In particular, the authors ask whether the charity is seen as mitigating or legitimising the use of detention against children as a border control mechanism. Has the neoliberal trend towards the ‘professionalisation of dissent’ diminished political opposition to immigration detention in Britain and the wider world?